„We will not make any decisions without you. I’m coming to Kosovo and Metohija in September. I want to address all Serbs in Kosovo and Metohija, to talk to you, to tell you what will be new in discussions over the future of KiM…“ for the second time, via telephone, the President of the Republic of Serbia addressed the representatives of Srpska Lista in North Mitrovica. 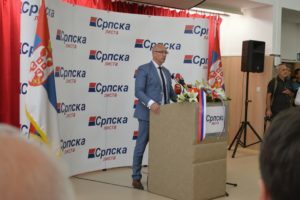 Vucic’s address by phone was heard during an open meeting of the Secretary General of the Serbian Presidency, Nikola Selakovic, and the head of the Kosovo Office, Marko Djuric, with representatives and supporters of Srpska Lista in North Mitrovica Wednesday. 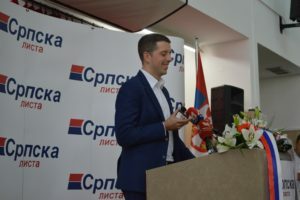 „We want the North in Serbia!“; „We don’t want Natasa Kandic and Sonja Biserko to to decide our destiny!“ – two supporters of Srpska Lista said loudly during the speeches of Marko Djuric and Nikola Selakovic. „Today, like never before, you have a state headed by President Vucic, whom you can restfully trust. This could only make it more difficult for him, but he has shown in many situations that he is capable of bearing heavier and greater burden,“ said Selakovic. In his claim, Serbia is among the first three countries in Europe with a surplus in its budget. He was repeating that Serbia will invest more in Kosovo Serbs. 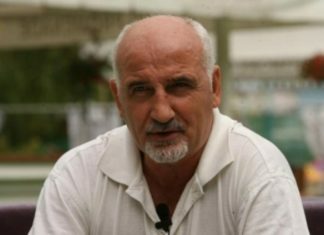 „It’s easy to say big words, pack up and leave,“ Selakovic said, but he also pointed out that Serbia „is doing its best” to help Kosovo Serbs but „it cannot do that without Vucic, because he has the full legitimacy accorded to him by the people“. 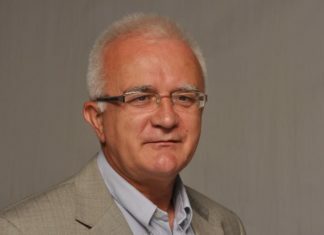 “Our situation is difficult and I don’t have to tell you that you are our biggest asset, but how hard it is, Serbia has managed to improve its image in the world,” said Selakovic. „When you make a deal with Serbia, it means you have agreed with someone whose word actually means something,“ he claimed. 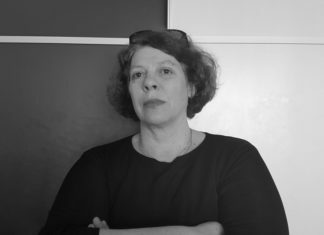 „We do not have the right to give up, or to rush along and be unreasonable, to try everything we can to preserve the peace,“ Selakovic added. 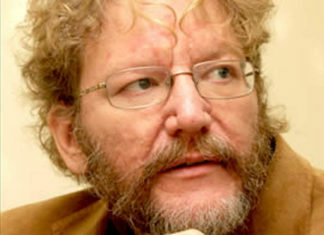 „All of them are trying to convince us that it is better that the entire Kosovo and Metohija becomes an independent Albanian Kosovo, that it is off-limits, that it is like the scripture and it does not matter to them that there is not a single Serb, a monk, or a Serbian minister, in Suva Reka, Kacanik and Glogovac and that they have not been there for more than a decade, and in some places for more than two decades,“ said Selakovic. „The fact that they tried to pull, luckily for us, a small part of the Serbian Orthodox Church into this political story shows how much their intentions were serious, and thank you for not buying into it,“ he added. For them to tell you that you are so-called Serbs, so-called Srpska Lista, and they are allegedly true (Serbs) because they recognize or support KiM to become an independent state in the entire territory, because they share the same view with Sonja Biserko, Natasa Kandic, and Hashim Thaci and Ramush Haradinaj and all other Albanian leaders. „We have received an order from the President who is occupied with KiM day and night, with the future and safety of Serbs, to implement, by the end of this year, every project initiated in every area,“ he said. „You have our word that whatever happens in the upcoming period, you will only have more. 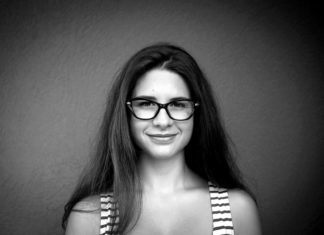 Do not allow anyone to lie to you, you will not have less money, or safety, or anything else. You will only have more safety and money and support and more of Serbia here in KiM,“ he added. „We will invest more money than ever. Because we want to show that we are (standing) with our people, that we will remain with our people and that we will always be there for our people,“ he said. „President Vucic, I want to say, from this spot, that Srpska Lista, the Serbian people have the absolute trust in you and we gave you that trust in the elections. We gave you our voices to take care of the Serbian people wherever they are living. Therefore, we urge you to continue the fight for a better and safe future for the Serbian people in this region. 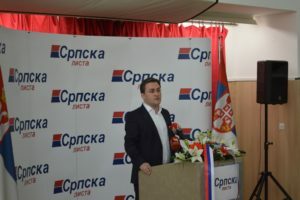 Long live Serbia!“ – said the mayor of the Kosovo municipality of North Mitrovica and Srpska Lista chief, Goran Rakic. 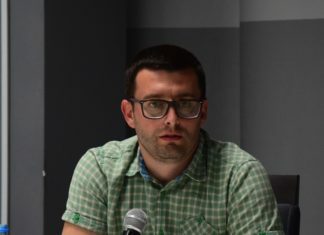 At yesterday’s gathering, none of the state representatives, nor the representatives of the ruling Srpska Lista in Kosovo, spoke about the latest announcement by the Kosovo President Hashim Thaci on the „complete“ merger of Serbian cities – Medvedja, Bujanovac and Presevo – to „the Republic of Kosovo“ and the referendum on such. 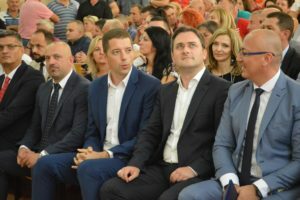 The deputy director of the Kosovo Office Petar Petkovic, a Pristina-based liaison officer Dejan Pavicevic, and the ministers of Srpska Lista in the Kosovo Government also attended the meeting of Srpska Lista and Serbian representatives in North Mitrovica.